Summary of all medical benefits. Use this form to record your biometrics with your provider. Click here to download, view and print form. Mandatory Legal notice for all health plans. All forms are in PDF file format. 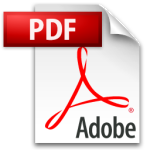 Adobe also provides tools and information to help make Adobe PDF files accessible to users with visual disabilities at http://access.adobe.com. Click here to download Acrobat Reader if the forms do not load correctly.